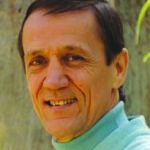 Ian Gawler have been giving seminars on self-help techniques and a healthy lifestyle for over 30 years and is one of Australia’s most experienced and respected authorities on Mind-Body Medicine and meditation. With a gift for translating ancient wisdom into a modern context, Dr Gawler is the author of six bestselling books on self-help techniques and has edited another seven books on Mind-Body Medicine. His books have been translated into more than a dozen languages and his most recent book is “The Mind that Changes Everything”. Ian has also produced a series of CDs and DVDs to support his writings as well as an online, meditation based, mind training program called Mindbody Mastery. Ian continues to work on a range of innovative ways to help people using new technologies. The founder of the Gawler Foundation, Ian has appeared widely in the media and is sought as a presenter and speaker at conferences around the world. Ian has conducted many workshops and retreats in Australia and internationally. A long-term cancer survivor, Dr Gawler was diagnosed with bone cancer and his right leg was amputated in 1975. However, the disease recurred later that year. Drawing upon an integrated approach, he experienced a remarkable recovery. Since 1981 when Ian began one of the world’s first lifestyle-based cancer support groups, his work expanded in three ways. One aspect is the focus on healing, another involves professional training and speaking engagements, while the third focuses on disease prevention, health and wellbeing. Ian has helped many people in their quest for peace of mind, good health and spiritual fulfilment. Dr Gawler’s biography, The Dragon’s Blessing was written by Guy Allenby in 2008. Dr Gawler has been a student of the great Tibetan teacher Sogyal Rinpoche since 1984. He holds a degree in Veterinary Science and a Masters in Counselling. In 1987, Ian Gawler was awarded the Order of Australia Medal for his services to the community. Ian visits the Centre each year – at present we do not have dates for 2017.